It has now been a month since I became a Mrs! I still cannot believe it and am on a complete high after having the most fantastic day. As you know, I shared on this blog both the hunt for my bridesmaid’s dresses and success in finding matching shoes. 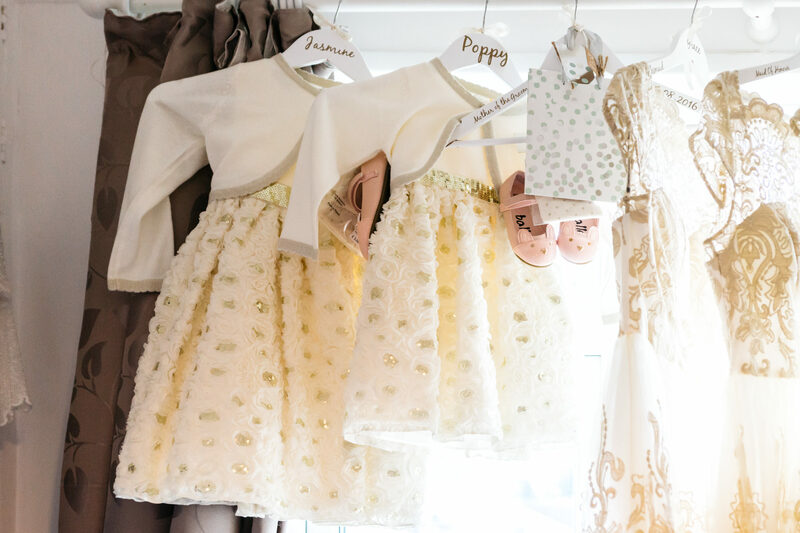 Before the big day, I also had the task of finding similar flowergirl outfits for my two beautiful nieces. 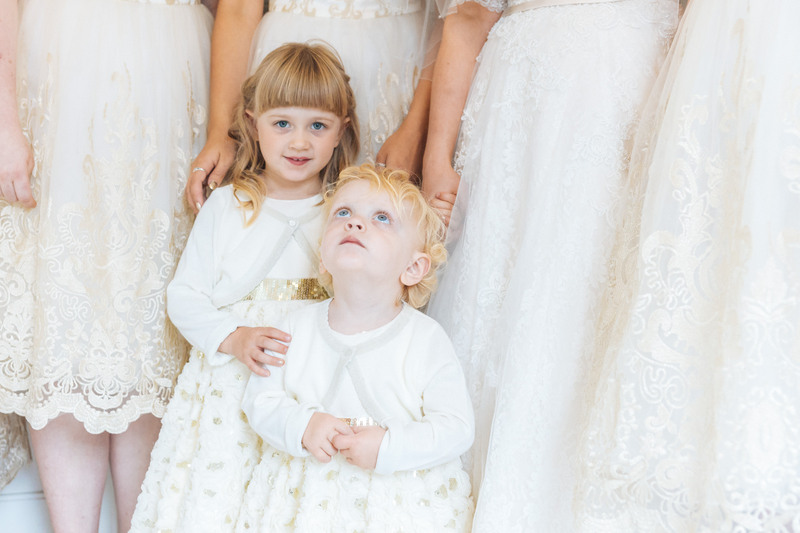 My bridesmaid’s dresses were a champagne gold metallic from ASOS Chi Chi London and, although my wedding colour scheme was not strong, I had some gold and blush tones running throughout the wedding. Matching the dresses was quite difficult, finding clothes that were less of a yellow gold was quite hard! 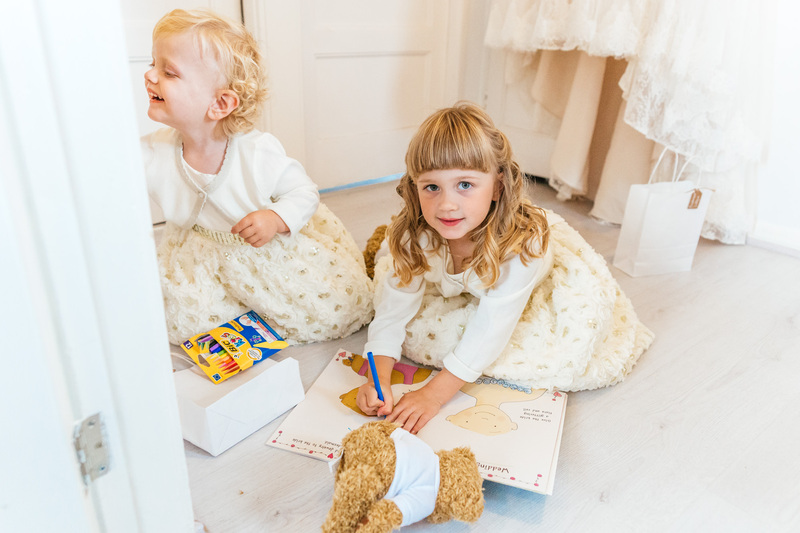 Their dresses ended up coming from TKMaxx; their Cinderella party dress collection is beautiful. The flowergirl dresses while cheap were fantastic quality, thick, heavy sateen with big waist tie bows and a wide skirt covered in net roses and gold sequins. The sequins in their dresses were the same sequins as used on their little flowergirl baskets. The flowergirls loved their princess dresses and looked beautiful. The next task was to find shoes that matched and were in sizes for both a nearly two-year-old and a four-year-old. They had to have some support and also stay on the feet of a toddler. Matalan came through with some beautiful little blush pink party shoes that look like little rabbits with gold heart noses. There was a discount on children’s shoes so they were only £6.40 a pair but looked better quality and matched the dresses better than anything else I had seen. Lastly was finding a matching cardigan and some party tights in case the weather was cooler. It is fortunate that I had bought these in, although the day was warm and sunny it was not a hot August day. Finding a matching cardigan or shrug became a little impossible. Their flowergirl dresses were ivory, and the usual white flowergirl boleros would not work. Someone recommended I look on Octer to search for them. On Octer you can compare and find nearest matches to your search and narrow down by shop departments or by store. It was the only site that brought back the John Lewis Girls’ Metallic Fibre Trim Cardigan in Ivory that ended up matching perfectly. 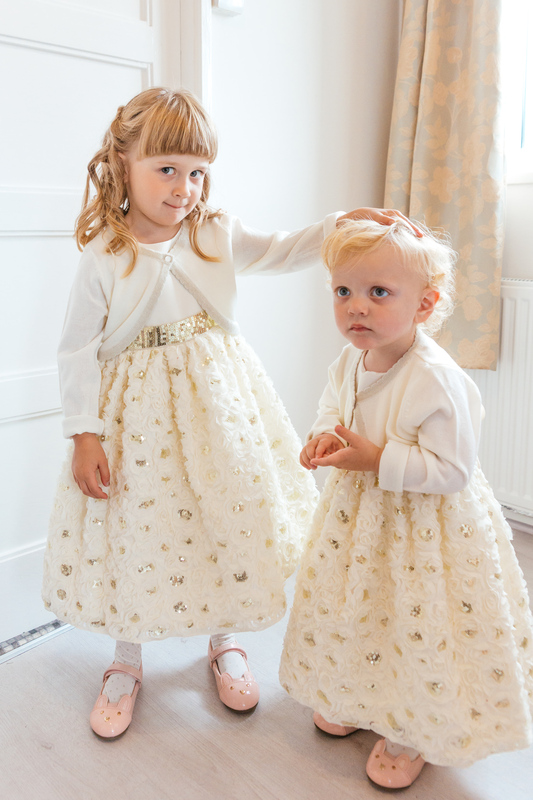 Very soft and good quality, I ordered these with the John Lewis pretty glittery gold spotted ivory tights to complete the flowergirl outfits. The flowergirl outfits came together so well, and my pair of flowergirls looked incredible on the day.